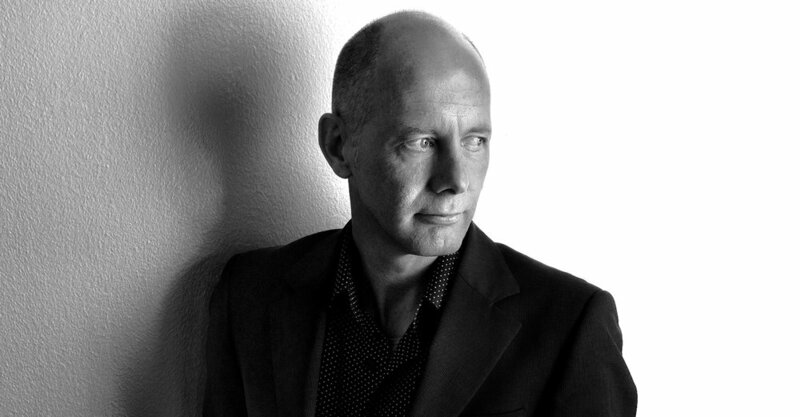 Ben van Berkel: That is a period where i was in the middle of my education, or closer to the end. Mohsen Mostafavi was my teacher at the Architectural Association in London, and he taught me a lot about the Viennese school, the period where Sigmund Freud, was promoting his theories for the first time. Klimt, Kokoschka, and other artists, composers, and scientists would sit together in one room, a salon, where people would exchange ideas. You know Mohsen was for me quite interesting. He taught me how you could translate that into design, theory and architectural thinking, how you could combine it and transform it in spatial concepts, I cannot mention a particular book out of the period, we were reading a lot of articles, scientists philosophers, architects. Although, I read a book from scientist who wrote a book called Against method, he wrote about the way how linear models of thinking and traditional methods of thinking are outdated, one should not think in systems but experiment with rethinking A to B systems, by working and thinking more in a network structure and experiment with that network structure, I think it was later picked up by a lot of artists, cultural thinkers like Bruno Latour, Deleuze for instance, Against method influenced me because it gave me the idea we should deviate a bit from the modernist way of thinking, that everything should be reductive... ideas and principles with which we make architecture with, think more holistically and experimentally, try to discover with that new forms of architecture. AAG: Sounds like it was influential to you, and more of an explanation of a method rather than reviewing other architects. BvB: Of course I’ve read a lot of manifestos but i was as much interested in philosophers, scientists and other thinkers. AAG: I heard in an interview that Mark Wigley is your favorite theorist, what is it that you like about his method? BvB: I might have said that in a discussion, who were today contemporary (theorists), I mentioned him because someone asked me who is an interesting architect, and well, he is an architect, he is educated as an architect, I think I mentioned that is interesting that he is quite a critical mirror, he provokes architects and is aware of their own complexity, their own hermetic way of thinking, I see someone who said once that he doesn’t like to write architects anymore because he then comes into the difficulty to being that mirror and critical because then you get contradicting interests, so he said he will only for that reason, promote and write about dead architects. AAG: Talking about influences I know that Zaha Hadid was a part of your influence at the AA, and I read this book with Hans Ulrich Obrist with interviews throughout many years of their relationship, and I don’t think Zaha Hadid is famous for her theory as much as for her form and geometrical constructs but she really knew, obviously, on how to talk about space and her ideas, her research, so i was wondering if you could talk about that, about her input on your thinking. BvB: She was very important for me, it’s quite amazing that she as an architect became so known, ask people on the street , the second modern face of architecture, one of the most powerful and influential architects around. I was a student of her, she was quite powerful as a teacher too, she could talk endlessly about the way you could draw, for example she would never draw on a size smaller that two meters, I was not allowed, A3 size was not allowed, she didn’t like that, it was too small, even when it was a sketch, analytical, or urban. It had to be big, bigger gestures, not being afraid and about opening up your ideas. Unusual and funny and outrageously personal, also in the way she would approach you when you were a student, and would give you a lot of attention, in a very personal way, through that idea of cooking, a bit strange but later I understood why she wanted to have this relationship with the students, you got to know her much better and through it, know yourself better, she was reflecting on the way you could develop your own talent, passions and desires to grow as an architect. AAG: I found this book that is called Delinquent visionaries (010 Publishers), and I saw that it was published in 1993 and if UNStudio started around 1988, I was just wondering about that, why was it important to publish a book in the beginning of your career? BvB: Yes, it was a collection of articles we that in that time, Caroline and I had written, for papers like the Volkskrant, the main paper in the Netherlands, architecture magazines and art magazines we wrote in many fields and many topics, we have always used these articles as ways of also discover to know about ourselves, where we want to go with UNStudio, what could influence us, it was a book full of fascinations and interests of topics we were following over the last few years, it was written over five years time, it took a long time. AAG: I have heard about the book MOVE could be why you started to become more famous, that’s something that i heard and I was wondering, what do you think? BvB: A book can help you promote your ideas, in a way MOVE was a manifesto, the real UNStudio we wanted to be, at that time we had not fully formulated the ideas for UNStudio, we projected them in MOVE, and it was also for that reason a manifesto for myself. I wrote my own ambition list of things I believed would change in the profession, like the role of the architect, and the way how we had to work less with linear models, like I explained before, I believe very much that the architect should not stand anymore in front of a whole orchestra that it should work with a specialist, in a network organization, the idea of being united, UNStudio stands for this united network whereby collaboration and new strategies of working, are the essence of the studio, that was in essence what we said in UNStudio first manifesto you could say. AAG: Brett Steele said that the most enduring material is the written word, criticism lives as architecture not for it. How important is it to write about architecture and could your buildings exist without writing about them? BvB: I think that we have proved that over the years that writing and teaching and experimenting within the field is as important to have a practice of architecture, the two or three elements of being in a practice or in the field gives you the opportunity to place a reflection or a mirror as an architect and that it helps you further developing your own ideas, your own ambitions and for that reason we have been always writing and still write but of course, I mean, similarly as you can see in so many other architects manifestos that writing in itself is not helping if you don’t experiment with making and the production of architecture itself so, our ambition was UNStudio’s idea of working with new techniques and that was in MOVE when we talked about computational strategies and being quite strategic on that level and use new ways of reading the site through data, and im talking about 1993 and the deep-planning period, ideas on the way how you could start to rethink how architectural and spatial ideas were having a new type of effect on the user like the modernist model, or in the theoretical model of Sigfried Giedion. The idea of the future of spatial thinking and the computer played a very important role, take for instance the Möbius house, or the Mercedes Benz museum where we have a double spiral, I discovered that maybe through new ways of perceiving space, that spaces could follow you or cross, that you might develop a much more kaleidoscopic vision of space, through the movement of space and these ideas came through writing, testing new types of geometry and mathematical models we developed, and of course producing architecture in itself. AAG: We talked about Delinquent visionaries and then we talked about MOVE and now we talk about Knowledge Matters which was published a year ago. published by FRAME, part monograph, part manifesto, it is a compendium of all the successful project that UNStudio has had for the last 30 years, i was just wondering if you could extract one idea that you like about the book or one potent idea, what is the book about? BvB: Well the most important is that knowledge matters, title itself says it, knowledge can transform itself into an object, it is not anymore about the classic ingredients which architecture works with, i.e. light, acoustics and materials, we say if you put the right amount of process and knowledge into computational strategies or the way you work with specialists, maybe as you know, we in UNStudio sometimes invite scientists or a futuroloog (futurist) I think architects we are not working like ten years ago, we believe that the performance on how you bring knowledge together in the process will change the performance of the building, in that sense maybe that book was sort of a manifesto, we luckily now we translated into projects and into a new company called UNSense; self-learning environments and the idea of sensor technology connected to new type of intelligent ways of guiding spatial organizations is something that came out of that book.